More like the awesomeness of all-wheel-drive. Late last month Subaru announced that its track-only WRX STI Type RA NBR had set a new Nurburgring lap record (for a four-door sedan) of 6:57.5, and was promised then, the official video of that happening has been released. Remember, this wasn’t just any old WRX STI, but rather one that’s been stripped to its core, leaving only the bare essentials, along with a full roll cage. The 2.0-liter Boxer four was modified for a total output of over 600 hp. A top speed of 179 mph was achieved at the ‘Ring as well. The Pro-drive-built Subie’s goal, other than shattering a record here and there, is to demonstrate the capabilities of all-wheel-drive. 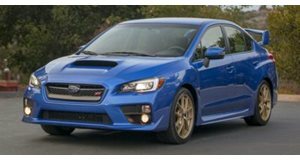 With the added assistance of 9-inch wide slick tires, a rally-spec sequential transmission and an aero package that produces 650 pounds of downforce, the WRX STI RA NBR is so fast around the Green Hell that it’s a mere half second slower than the Porsche 918 Spyder. The video here begins with driver Richie Stanaway making a few remarks before things get cooking. Subaru’s goal was to achieve a sub-seven minute time and, well, it clearly did it.